Many people will tell you the key to dieting is eating lots of salads. After all, they’re packed with things that are really good for you: raw vegetables and fruit, (usually) grilled meats, seeds and legumes. Spread on a reasonable amount of dressing, and you’ve got the ticket to weight loss, right? Sadly that’s not always the case. Does your salad have cheese? Croutons? Fried chicken? Sweet or creamy dressings? What about lots of olives or olive oil? Are all of those nuts really that healthy? Sadly the “fact” of the healthiness of salads has been more than a little overstated, and these salads are proof. 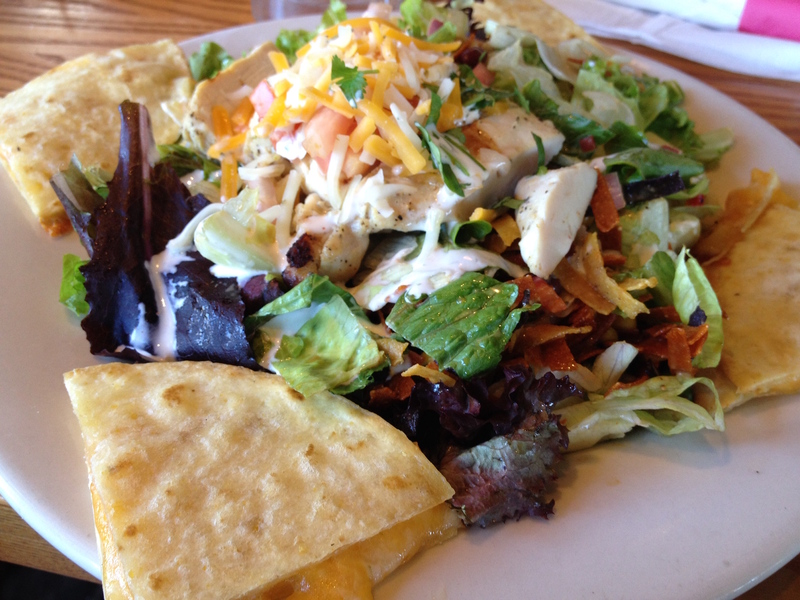 Chili’s Quesadilla Explosion Salad is awesome. It’s full of corn and salsa and tortilla strips, and even comes with a quesadilla on the side. Heck, it’s one of those salads in which even the lettuce is great. However, all that flavor comes with a price. Basically this salad is so bad for you that you’re better off eating two-thirds of a Triple Dipper. It’s actually healthier for you. It might sound obvious that a salad with fried chicken on it isn’t healthy, but there are some who still believe that mixing a lesser quantity of Buffalo chicken on a big pile of greens somehow results in a healthy meal. Forget about it. Just order a Big Mac instead. The Green Goddess Salad Wedge sounds nice and innocent, like it might be the offspring of some Earth spirit who wants you to eat healthy or something. Sadly that’s just not the case. 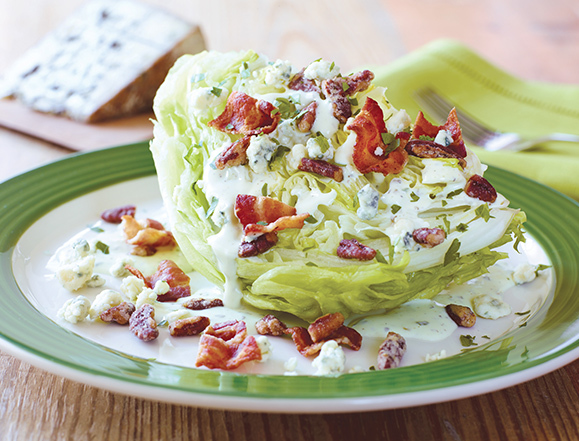 The creamy green goddess dressing and cheese blend make this small wedge salad worse for you than the 9-ounce sirloin. The same is true for Applebee’s side salad if it’s topped with Oriental dressing. The salad itself is perfectly healthy, but add the Oriental dressing, and you’ve gone from healthy side to a meal worse than a side of fries. 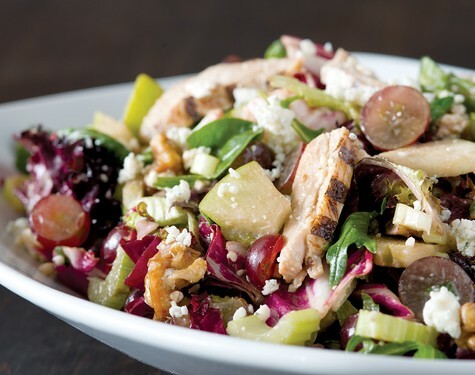 In total 890 calories and 9 grams of saturated fat (which doesn’t even include the nonsaturated kind), the Parmesan-crusted chicken salad from Macaroni Grill might sound like a nice, carb-less option to a heavy plate of pasta. Still, those 890 calories make the health benefits of this meal a little dicey. Made from Chipotle’s chicken mix, cheese, black beans, rice, lettuce and tomato salsa, this salad is not healthy. 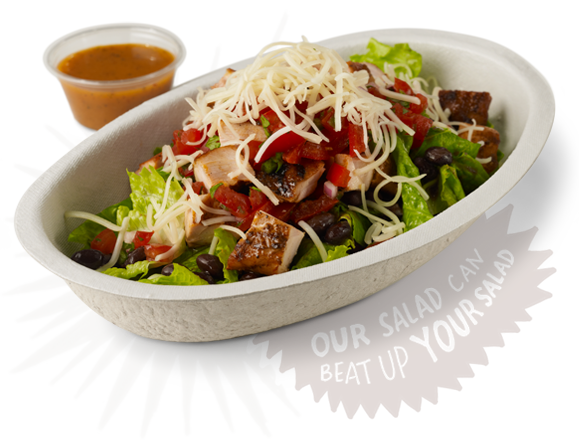 There’s this myth that the food at Chipotle is somehow healthier for you than most fast food. However, the fact is that Chipotle food is full of carbs, fat and calories. That, sadly, includes its chicken salad, which can quickly go from slimming skinny to swimming in heavy. Word to the wise: If you want to eat healthy, avoid Panera Bread. Its bagels are worse than doughnuts, and its salads are full of calories and fat. 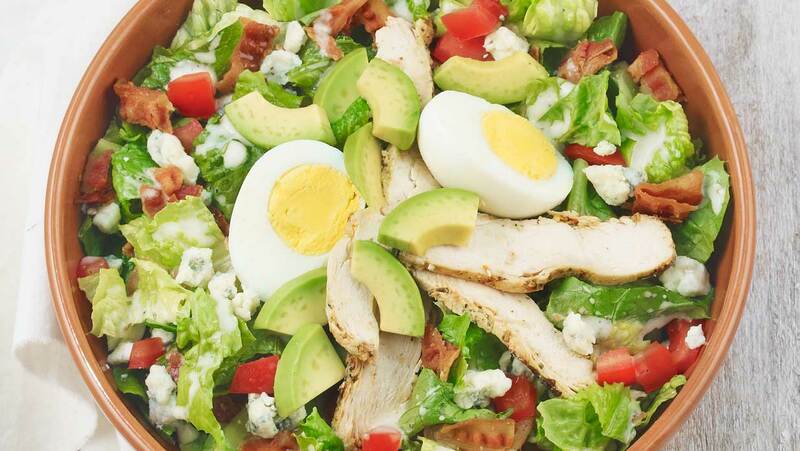 That includes the full chicken Cobb salad, which you would think should be fairly healthy. 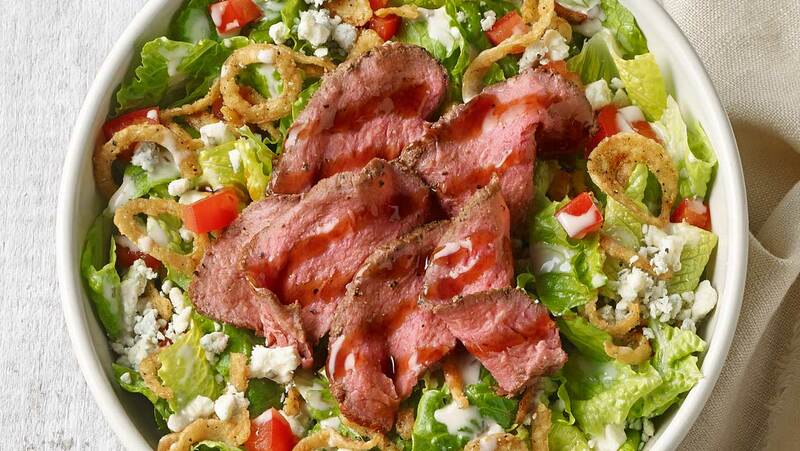 Continuing the trend of things from Panera Bread that sound healthy, this salad that is topped with sliced steak, blue cheese and cooked onions is worse than the Cobb — 680 calories is a lot for a salad, especially when it doesn’t come with a large amount of beef for its size. 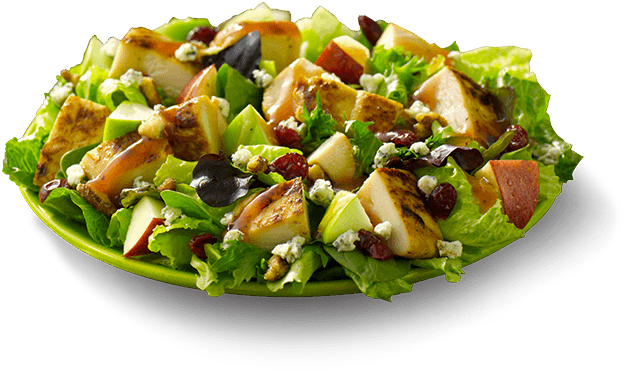 Quiznos actually does a pretty good job of preparing healthful salads that customers really enjoy. 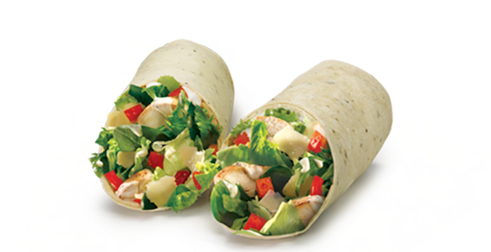 However, it also offers those same salads as wraps, and unfortunately the minute the wrap comes into play, that healthy salad becomes extremely bad for you. Word to the wise: When going to California Pizza Kitchen, just get the pizza. This eatery offers a wide variety of salads for you to enjoy, but you have to be careful. They look healthy, they sound healthy, but if you’re not careful, you’ll end up enjoying 87 grams of fat from its full Waldorf salad. 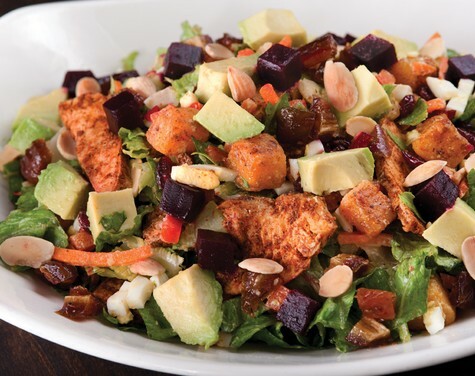 Even worse than the Waldorf salad is the full Moroccan chicken salad, which comes with a mind-boggling 1,500 calories and nearly 100 grams of fat. By comparison, you could drink two 2-liter bottles of Coke and enjoy fewer calories and none of the fat. 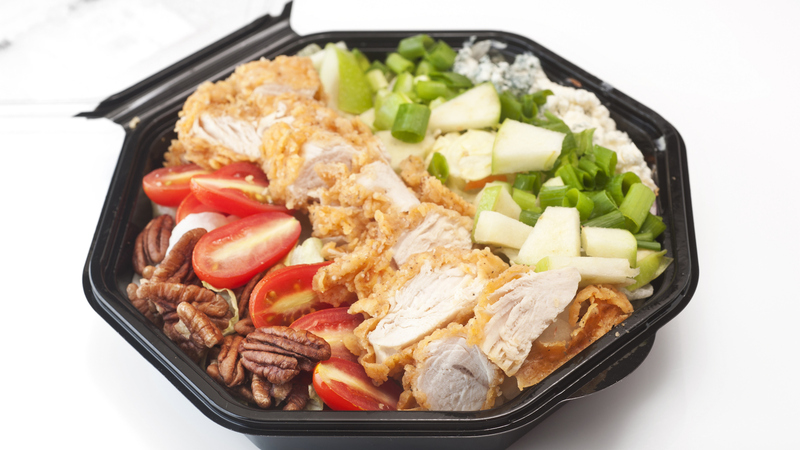 Again, it should be no surprise that a crispy chicken salad isn’t the healthiest for you. However, this salad seems like Australian for unhealthy and should probably just be replaced by an order of chicken fingers. 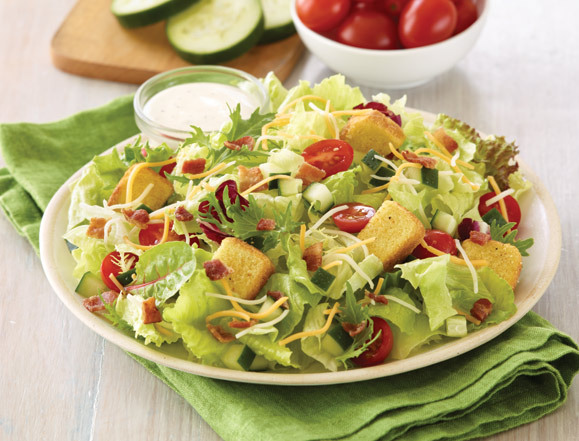 Ah Wendy, you fool us with your charming commercials about the care and quality of the Wendy’s salad. 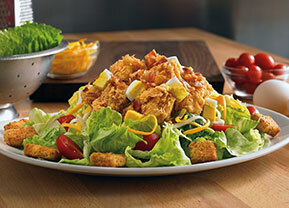 Now, we’re sure the ingredients are fresh and the salads freshly prepared, but coming in at 580 calories and 29 grams of fat for a full-size salad makes us hungry for a Frosty. Somehow this full-size salad with none of the barbecue sauce but with apples and nuts manages to add an additional 10 calories. That’s no mean feat for you, Wendy’s. 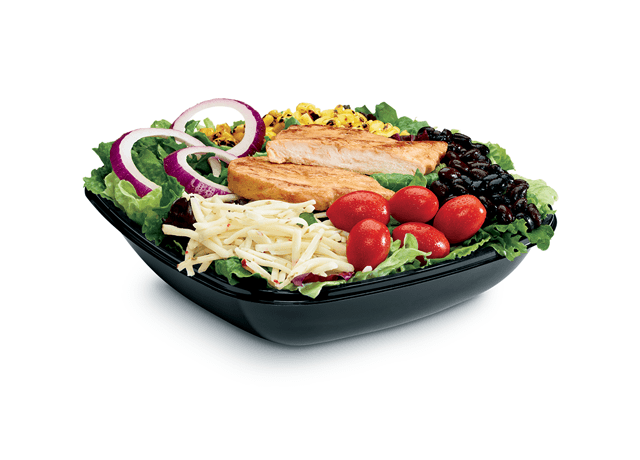 Last but not least, we have Jack in the Box’s Southwestern Chicken Salad. 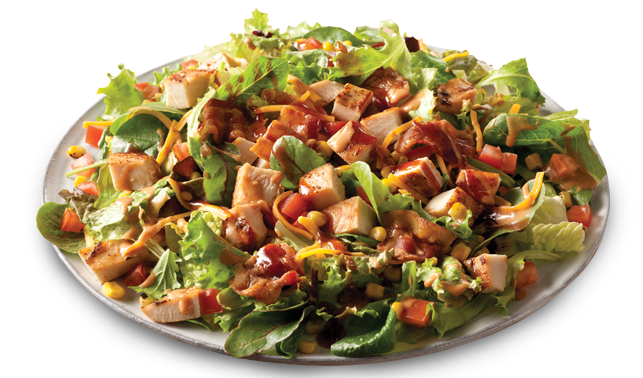 As far as fast-food salads go, it’s pretty light, but be careful when you check its nutrition information. Most of the time they neglect to tell you that the calorie counts don’t include the dressing and sub grilled chicken for fried. 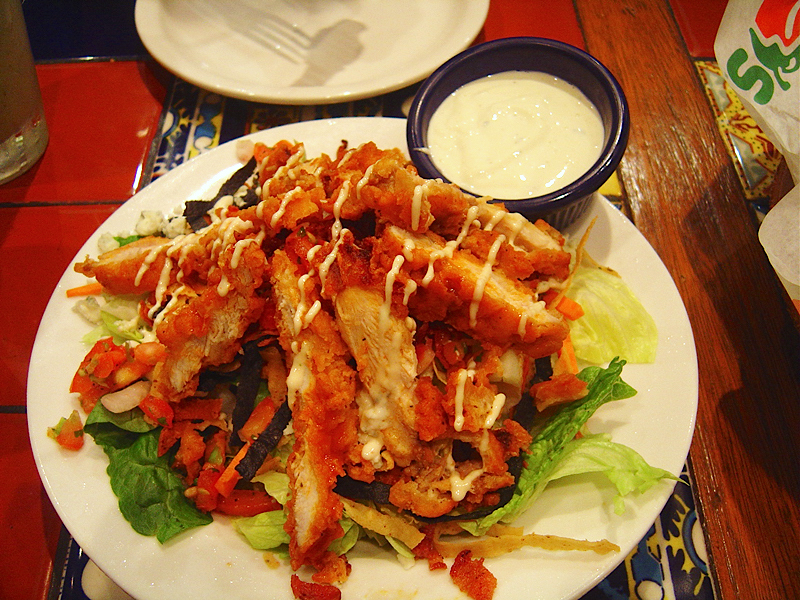 Order the salad the way they suggest (in its fried and dressed glory), and its calorie count creeps up there.